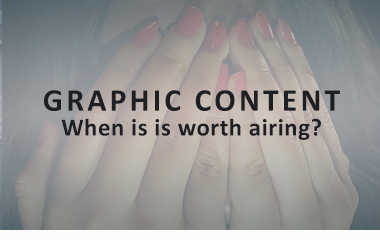 Graphic content: When is it worth airing? On the morning of November 1, 2016, a young male entered Abbotsford Senior Secondary School in British Columbia and stabbed two teenagers at random. A bystander caught the incident on video, which showed one victim on the ground, trying to wrestle the suspect off of her while being stabbed. Her screams are clearly audible. Shortly after the stabbing, journalists in the CBC British Columbia newsroom began to hear reports that something potentially fatal had occurred at the Abbotsford high school, and that police were on the scene. “That always obviously is going to get a lot of attention because [there are] young people being involved,” CBC British Columbia executive producer Karen Burgess says. “If there’s some kind of ongoing threat, then obviously we consider there to be a very high public interest in that.” Eventually, they learned that a suspect was in custody and that two people were injured. By the afternoon, one girl was dead and the other was in hospital being treated for her injuries. 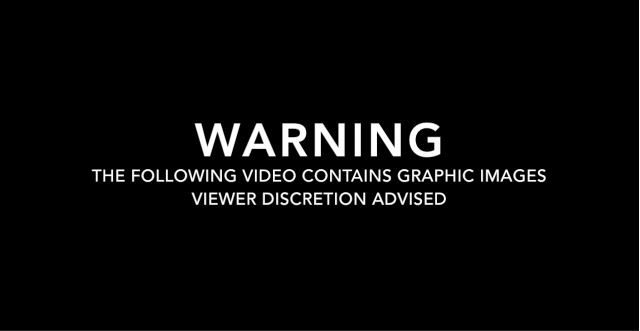 “As soon as we determined that this was an actual video—not just kind of police scene and flashing lights and crime scene tape… but was an actual depiction of the crime itself, then the discussions became very much different,” says Burgess. CBC had to make a decision about how to handle this footage. Burgess and her team had to decide whether airing it would be gratuitous or newsworthy. ← 8. Decision Point: To Air or Not to Air the Footage?